Pros: Very easy to use. Employee setup is a breeze and you can add and deactivate employees in seconds, not minutes. End of the week payroll reports are easy to use, easy to read. Cons: At times software tends to pull in deactivated employees when it shouldn’t. Aside from that, i’ve found very few issues. Weekly payroll on a budget. Anyone out there looking for a great inexpensive, easy to use, payroll tracking application might want to look in to Time Clock MTS. 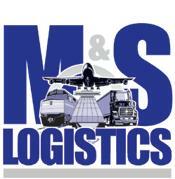 We’ve used this app for 3+ years at M&S Logistics and look forward to another year!